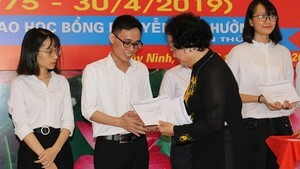 Winners of national Olympiads will be directly admitted into 96 majors in universities nationwide without taking the entrance examination, the Ministry of Education and Training (MoET) announced yesterday. 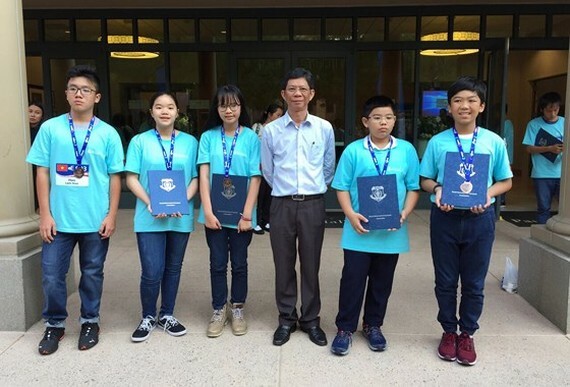 Specifically, those who are winners of National Mathematical Olympiads (or National Mathematical Contest for Excellent Students)will be directly admitted into majors including Math Education, Applied Math, Statistics, Mechanics, Math Studies, and Mathematics meanwhile their peers favor of English have these options including English Linguistic, English Teaching, International Studies, Eastern Studies, Linguistics, and such. In addition to 96 above-mentioned majors, MoET also allowed universities to add some majors that are suitable for each subjects in the National Contest for gifted students and each facility’s enrolment requirements. Apart from that, winners of the National Science- Technology Contest who have had a research relating to contest majors will be also directly admitted into the faculty of their choice. All of universities must announce this in their enrollment plan three years before putting into practice. Candidates must send application to the Department of Education and Training (DoET) no later than May 20. After admission, they should send the certificate of the contest to confirm.